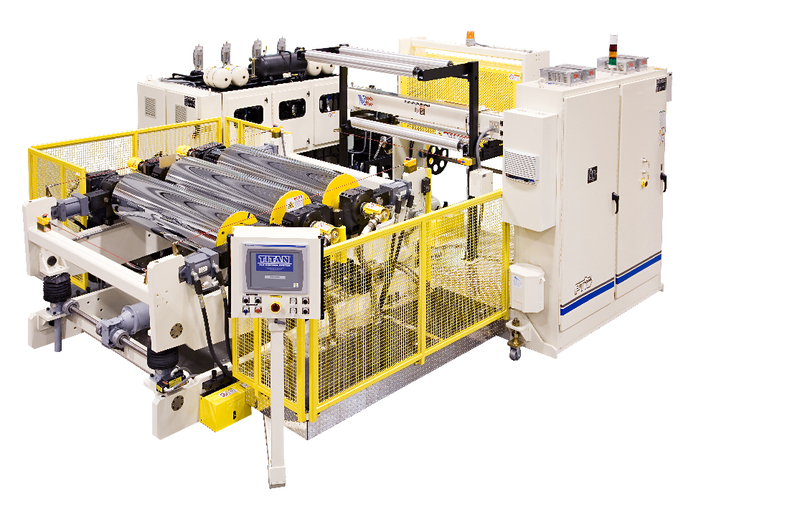 G-Series® Roll Stand for sheet extrusion ssytems is the newest addition to PTi's line-up of industry proven Sheet Extrusion Products from key materials such as PP, PS, PET and polylactic acid, the bioresin known as PLA. G-Series® is the newest addition to PTi's line-up of industry proven Sheet Extrusion Products. G-Series® was developed to fulfill the need in the global market place for a cost effective solution configurable as a compact unit for inline thermoforming or a full length configuration for producing roll stock. Its design emphasizes flexibility; allowing processors to efficiently produce smaller runs of sheet from key materials such as PP, PS, PET and polylactic acid, the bioresin known as PLA. Offering pre-engineered components, lead and installation times are also greatly reduced. G-Series® systems are available in finished product width of 1000 mm to 3050 mm (40"to 120") most sheet thickness of 0.006 to 1.000" (0.15 to 25.00 mm) G-Series® features linear bearing guided roll actuation with direct acting cylinders positioned on roll centers. Patented features include ratchet actuated roll gap positioning, ratchet adjusting height adjusting and linear bearing mounted frame for precise retraction and roll positioning. All G-Series® systems are available in mono-layer or various co-extrusion formats.